Weight gain: haven’t weighed myself in a bit.. more on that later. 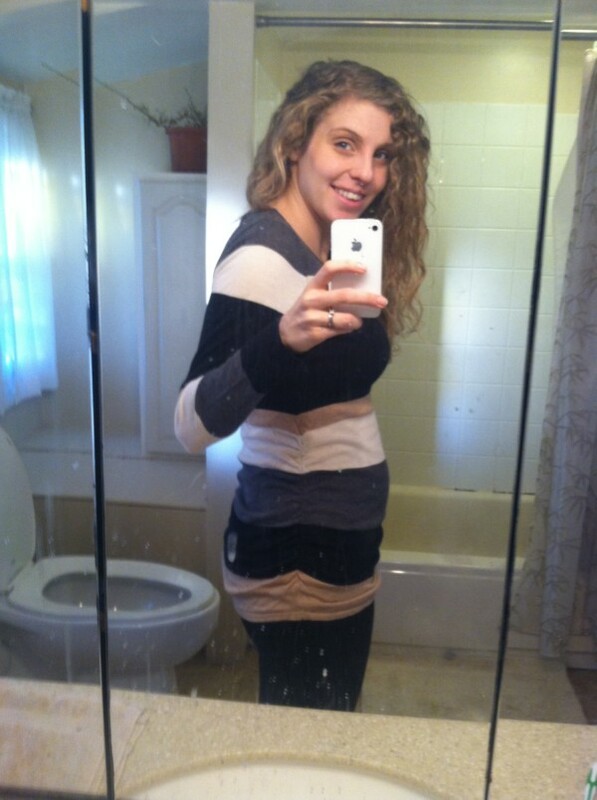 Maternity clothes: pants! I also just got some really sure tops and pants for my birthday from my mother-in-law! Stretch marks: Not yet, but honestly my hopes aren’t that high – my mom AND her mom had them. Belly button in or out: in. fingers crossed! Sleep: pretty good! waking up 2-3 times a night to pee, but yesterday my birthday present was sleeping in until ELEVEN, so I’m still basking in that glory. Best moment this week: birthday! and going to the the city, decorating our tree, and feeling like I FINALLY have a bit of a bump! Worst moment this week: Monday after the city my entire lower body was SO sore I could barely walk up and down stairs. I’m not sure if the cause was my shoes or my hips (which are already bad) or just having walked probably 10+ miles, but it was NOT pretty. Cravings: Grapefruit, honeycrisp apples. And the normal pasta-Chinese–sandwiches combo. Symptoms: Knock on wood, my morning sickness seems to be gone! But other than that, round ligament pains, terrible nasal congestion, and the occasional headache.